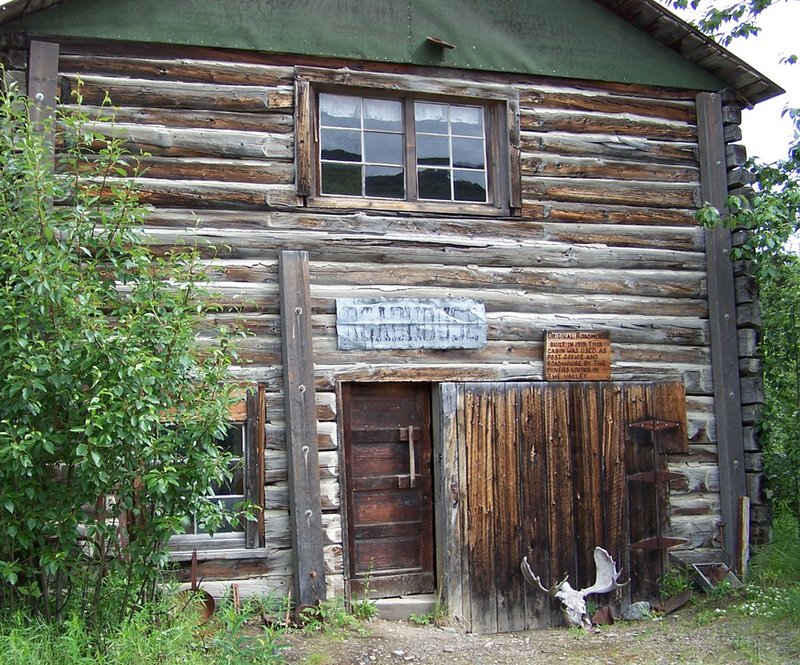 The Tonsina Roadhouse was built around 1900 by Jim Donaldson, and for the first few years it carried his name, the Donaldson Roadhouse. 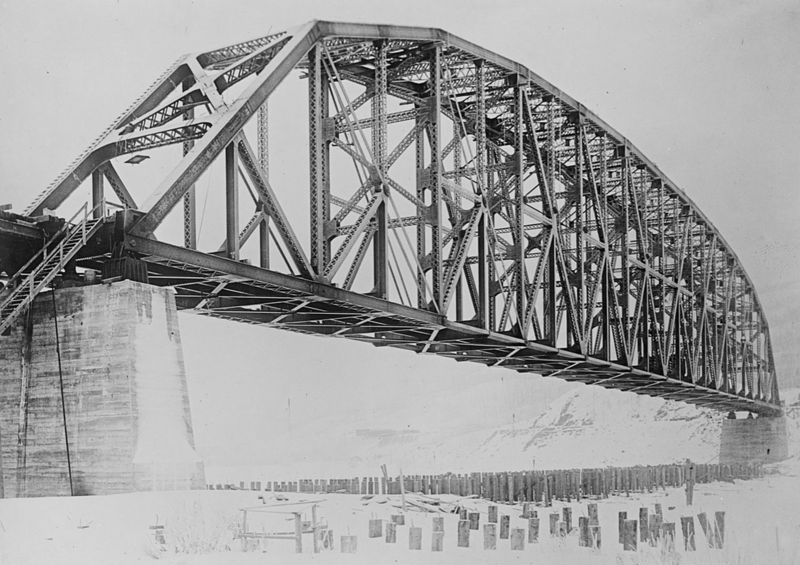 It was located at the junction of the Government trail from Valdez, built by Capt. 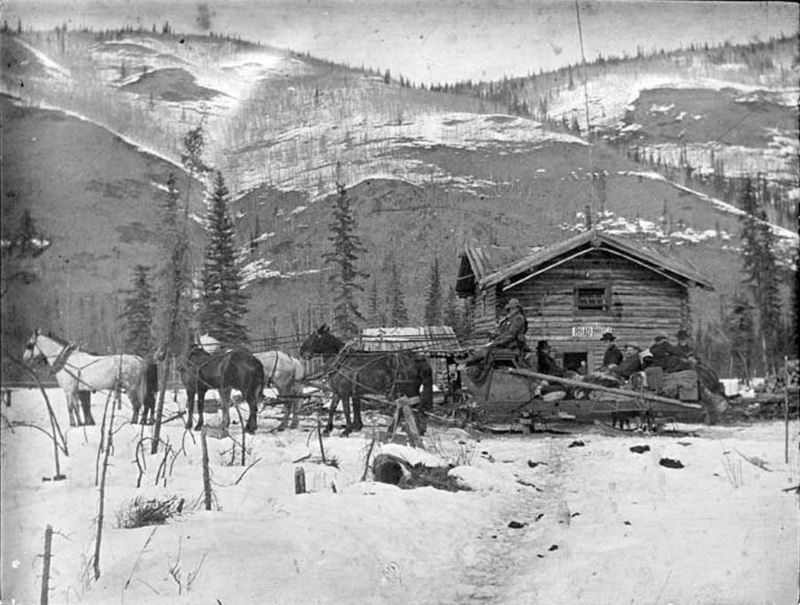 William R. Abercrombie’s men in 1899, with the Nizina Indian Trail, which accessed the rich Kennicott copper country to the east of the broad Copper River. 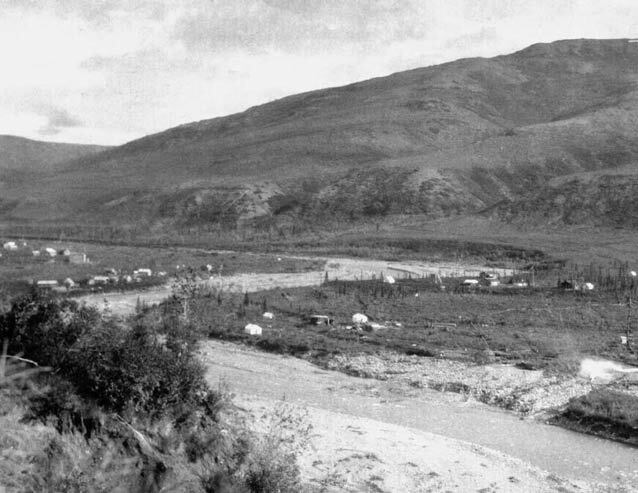 Utilizing only hand tools, Abercrombie’s soldiers built a 93-mile packhorse trail from the coastal community of Valdez to the Tonsina River, and then built a bridge across the river. 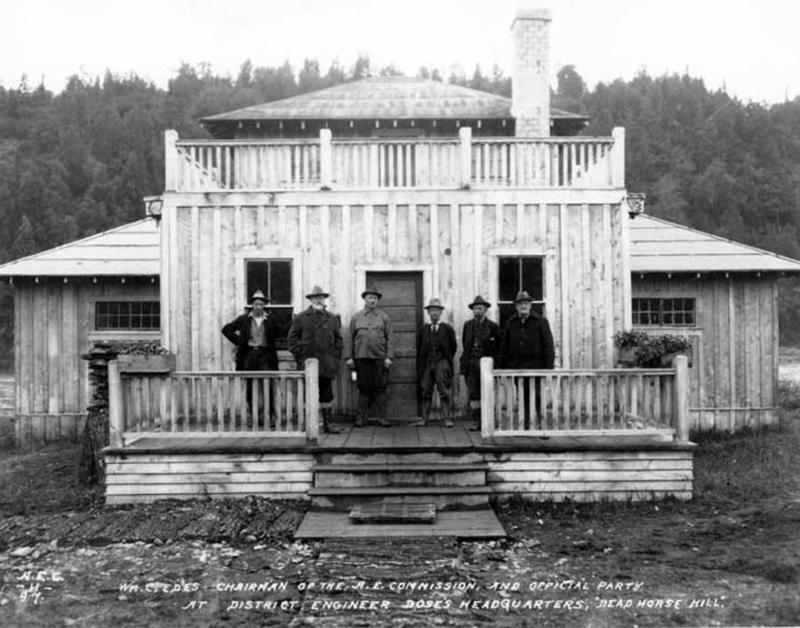 The Army Signal Corps constructed a telegraph station at the site in 1902, and a post office was established in 1903. 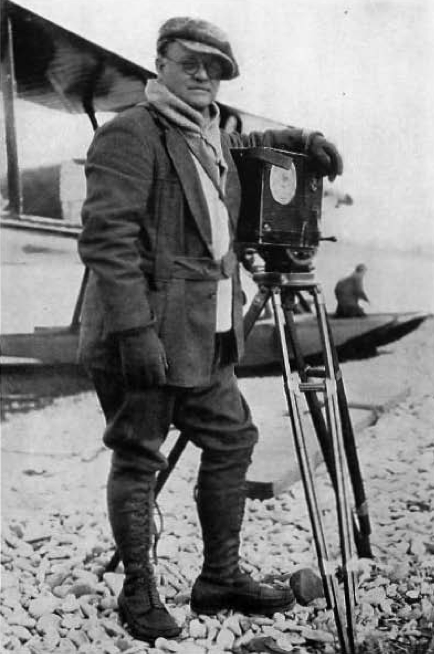 It was discontinued in 1916, re-established in 1930, and discontinued again in 1933. 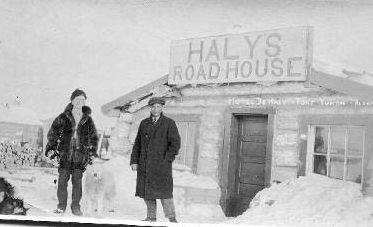 In 1902 Jake Nafstad and Fred A. Martin added onto the main roadhouse building, added a second livestock barn, and changed the name to the Tonsina Roadhouse. 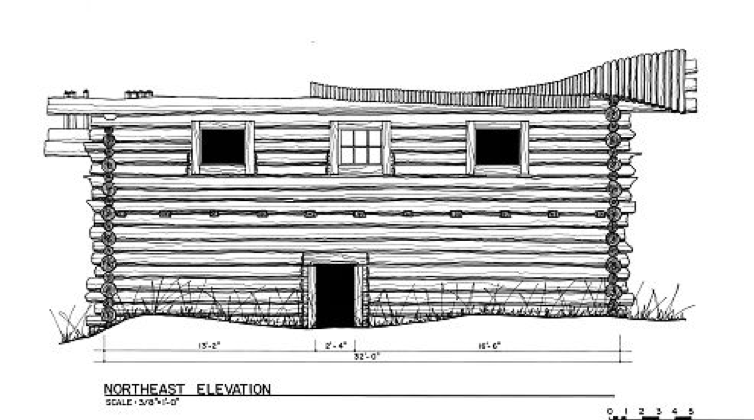 It would later be changed again, to the Upper Tonsina Roadhouse, and it could provide accommodations for up to 60 guests. This seems in conflict with the current TripAdvisor and Yelp reviews for the Tonsina River Lodge, which give the roadhouse four and five stars and consistently good reports on service and accommodations. 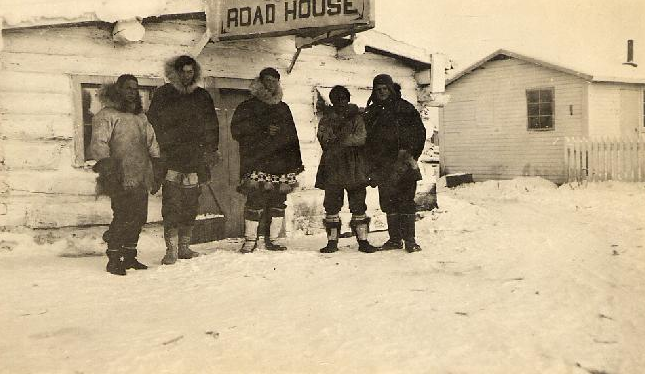 This entry was posted in Richardson Highway, Roadhouses and tagged Abercrombie, Copper River, Donaldson Roadhouse, Fred Martin, Helen Hegener, Jake Nafstad, Jim Dolaldson, Ken Marsh, Nizina Trail, Northern Light Media, Richardson Highway, The Trail, Tonsina, U.S. Army on May 30, 2015 by Helen Hegener. This unusual photograph of a six-horse team is from the Alaska State Library’s William R. Norton Collection of Photographs [ASL-PCA-226 Identifier ASL-P226-776], and the location is given as Kantishna, Denali National Park and Preserve, McKinley Park Region, Interior Alaska. 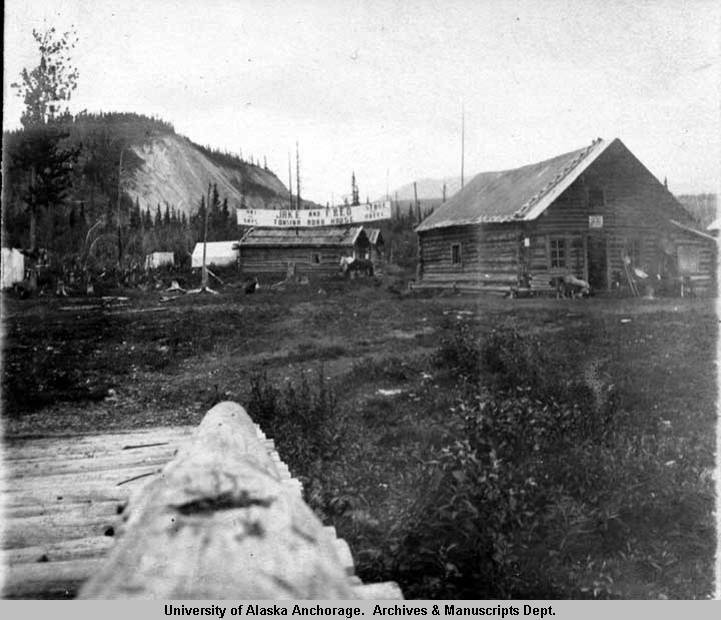 The community of Kantishna was founded as a gold mining camp in 1905, and like many such camps, was originally called by the popular goldrush name “Eureka.” On the north side of Mt. 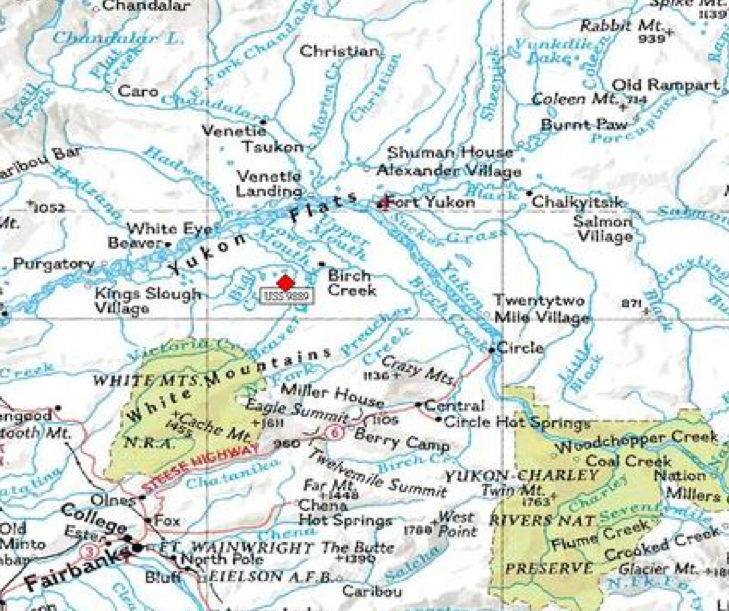 McKinley, with an elevation of 1,696 feet, Kantishna was in the Kantishna Hills at the junction of Eureka Creek and Moose Creek, three miles north and west of scenic Wonder Lake. 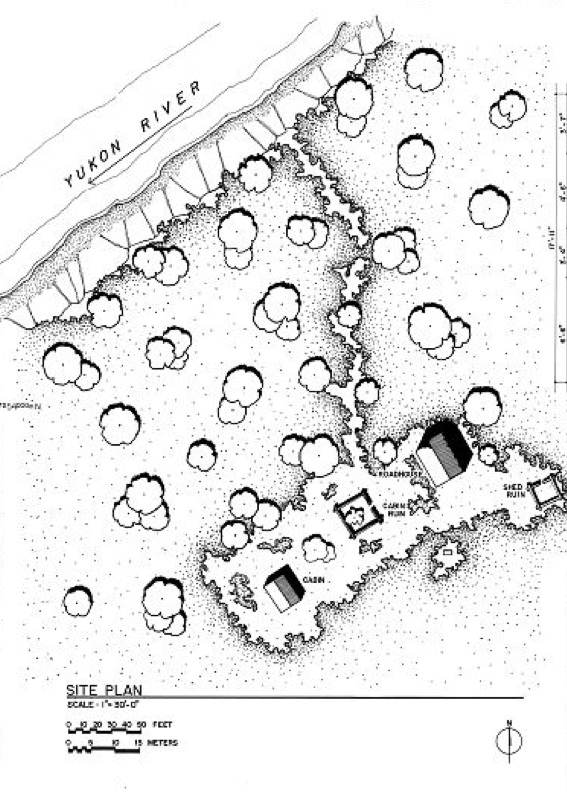 Several such camps sprouted with the discovery of gold in the area in 1904, but the settlement which would become known as Kantishna was located closest to the gold-producing creeks. 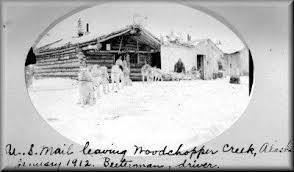 As the nearby gold camps were abandoned, those who stayed in the area migrated to Kantishna, and a post office by that name was established in 1905, officially changing the name of the community. 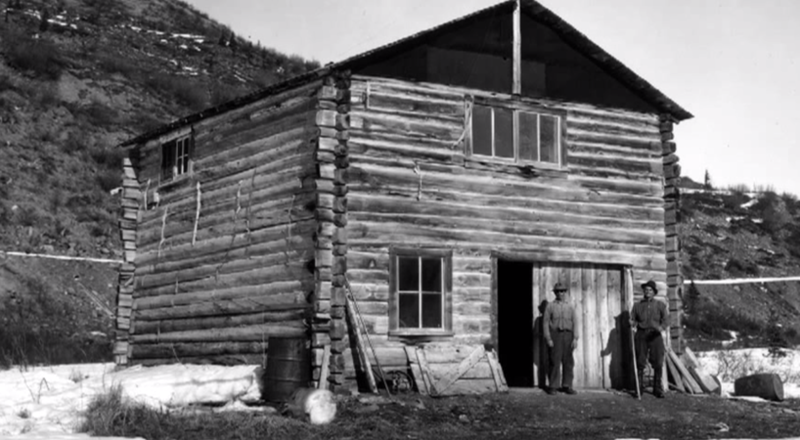 In 1919-20, C. Herbert Wilson became Kantishna’s commissioner, and he constructed the two-story log building which would become the Kantishna roadhouse as a residence for his family. Over the years, the large structure became a focal point of the community, serving as the post office, commissioner’s office, a community gathering spot and a place for travelers to spend the night. 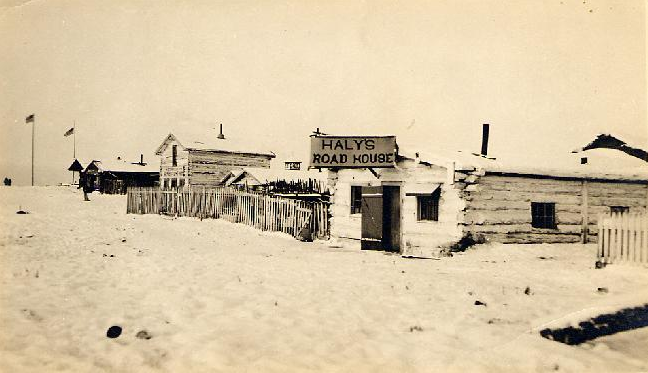 The historic Kantishna Roadhouse still stands on its original site, while nearby is the modern facility and popular tourist destination of the same name. 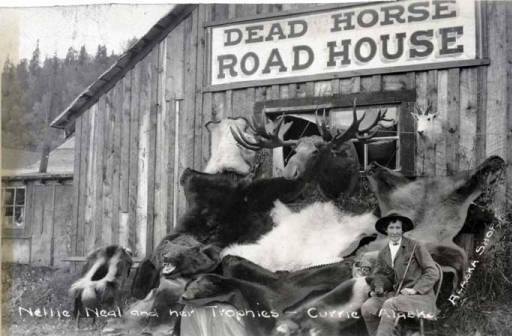 This entry was posted in Parks Highway, Roadhouses and tagged Bill Julian, Denali, Fanny Quigley, Helen Hegener, horses, Johnny Buscia, Kantishna, Mount McKinley, Mt. 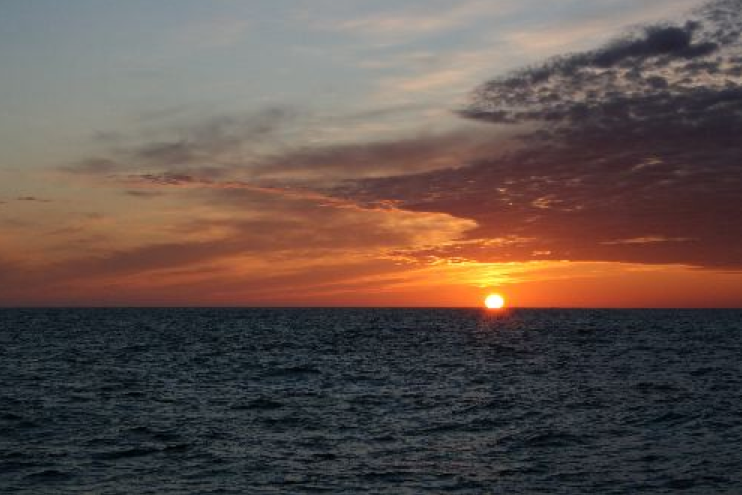 McKinley, Northern Light Media, Quigley on May 11, 2015 by Helen Hegener. 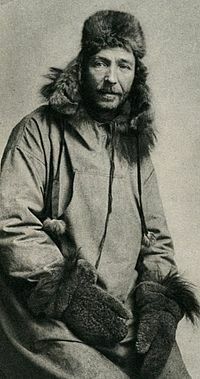 Nellie was the first woman to be awarded such a contract. 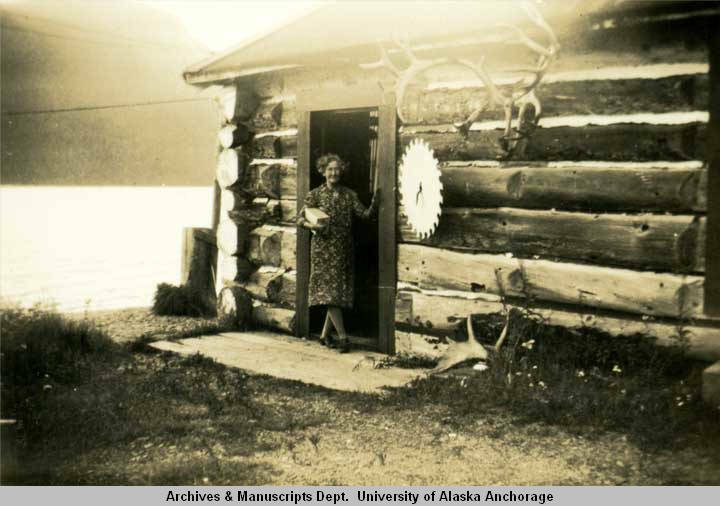 Her agreement with the Alaska Engineering Commission was to provide food and lodging for the government employees; her skill with a rifle filled out the menu, and her gifted storytelling kept her guests highly entertained. 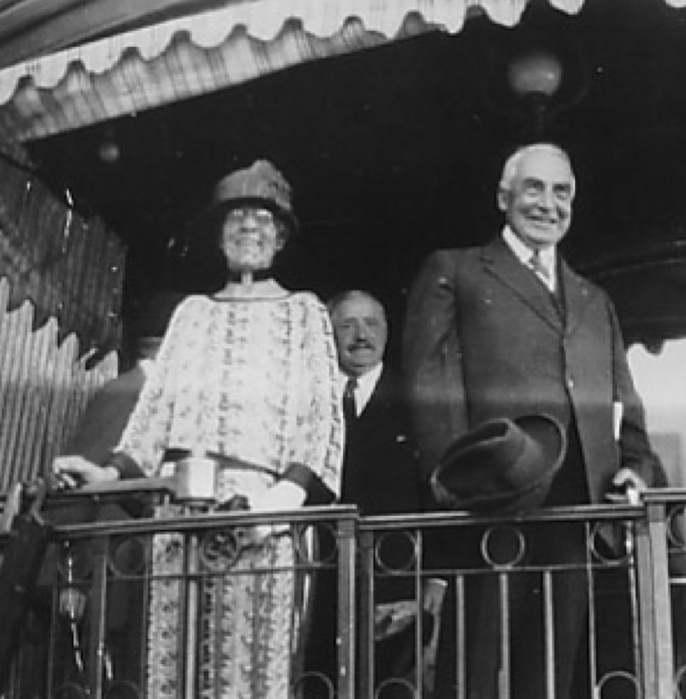 According to the terms of her contract, Nellie could purchase supplies from the government commissary, her freight would be delivered at no charge, and she would be paid fifty cents per meal and one dollar per night for lodging. The government employees on the railroad paid her with vouchers, which she turned in monthly for payment. One harrowing event Nellie’s life occurred in the dark cold of winter. 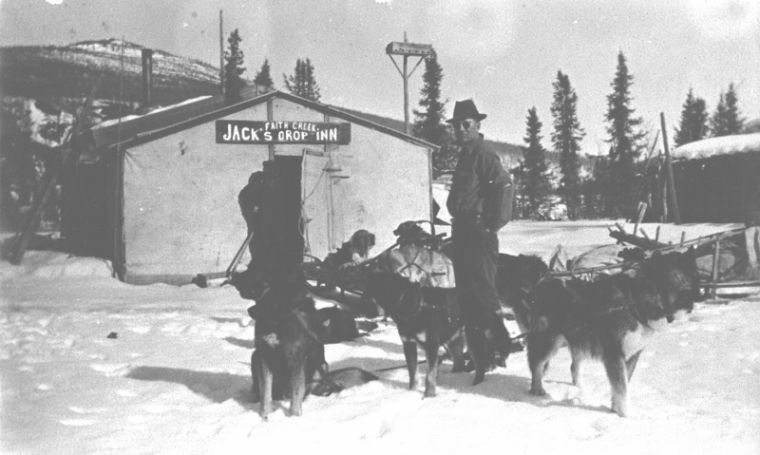 She maintained a dog team which she used for trapping along the corridor which would later become the Seward Highway. 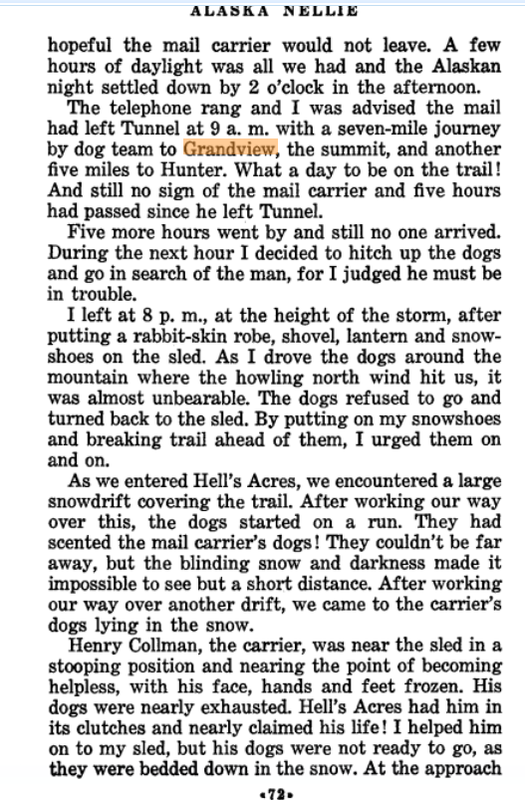 Once during a blizzard the local contract mail carrier, Henry Collman, didn’t arrive when he was expected, so Nellie hitched up her dog team and set out to find him. She located the mail carrier badly frozen in an area which had claimed several lives. 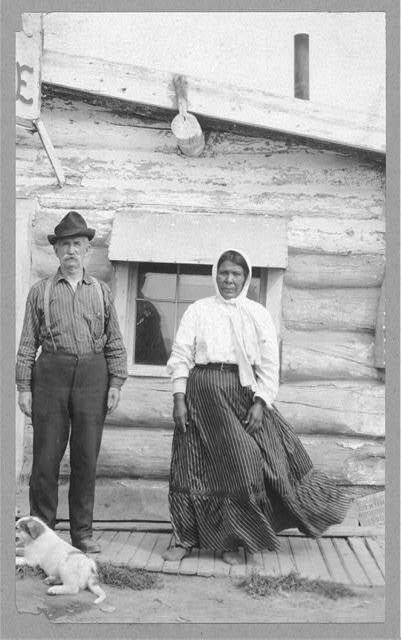 Nellie took the young man back to her roadhouse to warm up, and then set off to finish delivering his mail sacks and pouches, which she later learned contained valuable goods, to the waiting train. For her courageous efforts the town of Seward declared her a hero and awarded her a gold nugget necklace, with a diamond set in its large pendant nugget. Nellie treasured her necklace to the end of her days. 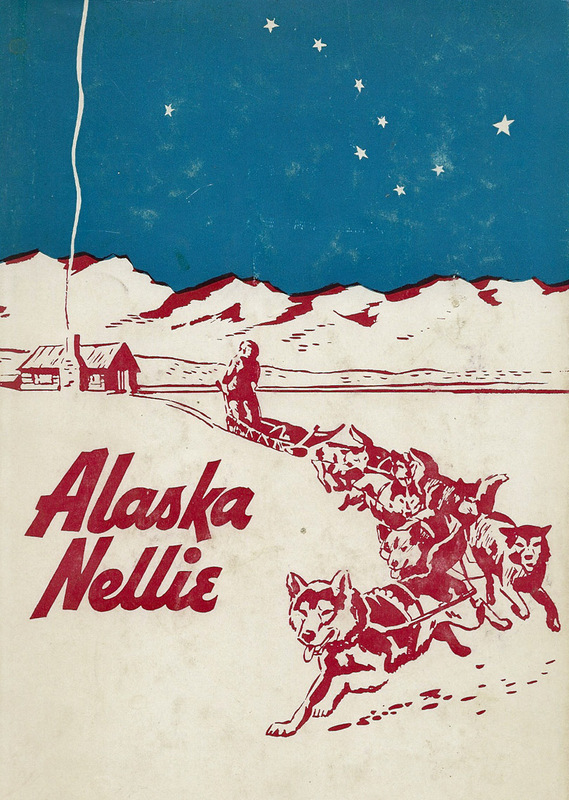 Nellie tells another dog team story in her autobiography, Alaska Nellie: “One cold winter day in December when the daylight was only a matter of minutes and the lamps were burning low, two U.S. marshals, Marshals Cavanaugh and Irwin, together with Jack Haley and Bob Griffiths, arrived at the roadhouse. The heavy wooden boxes they were removing from their sleds had been brought from the Iditarod mining district. They contained $750,000 in gold bullion. “‘Where do you want to put this, Nellie?’ called the men, carrying their precious burden. 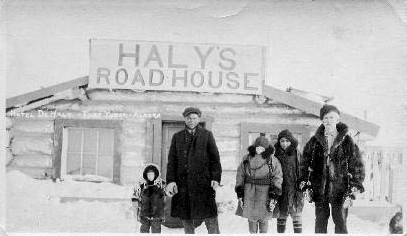 Nellie later operated a roadhouse near the Susitna River, at a railroad camp known as Curry, and then, in 1923, she bought her final home, a roadhouse on Kenai Lake. 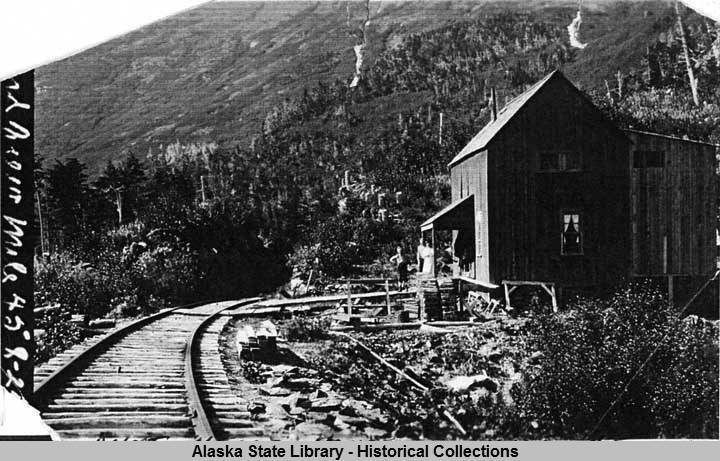 The railroad stop along the blue-green waters was renamed Lawing when Nellie Neal married Bill Lawing, and together they built the roadhouse into a popular tourist stop on the Alaska Railroad. 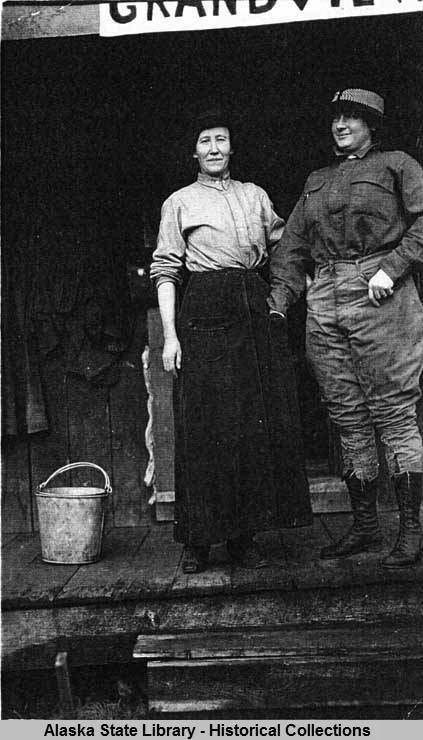 Vegetables from Nellie’s garden were served with fresh fish from the lake or with game from the nearby hills, and Nellie’s stories, often embellished with her rollicking tall tales, kept her audiences delighted. 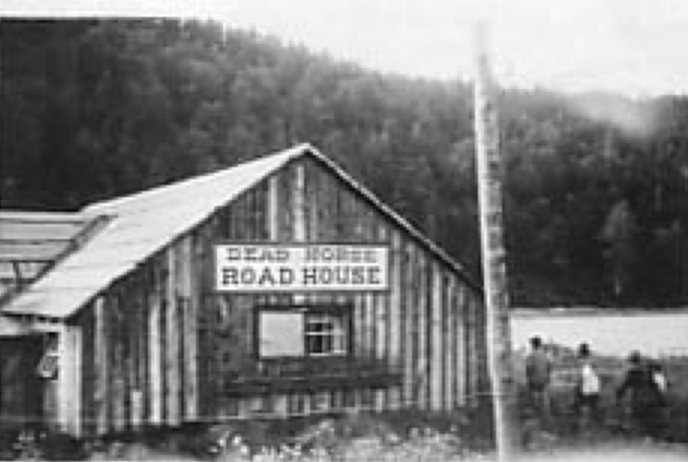 Celebrities, politicians, tourists and even locals came to enjoy the purely Alaskan hospitality at the Lawings’ roadhouse on Kenai Lake. This entry was posted in Roadhouses, Seward Highway and tagged Alaska Nellie, Alaska Railroad, dogteam, Grandview, Grandview Roadhouse, Helen Hegener, Lawing, mushing, Nellie Lawing, Nellie Neal Lawing, Northern Light Media, Seward, sled dogs. on April 26, 2015 by Helen Hegener. Draft of a possible cover for the book. 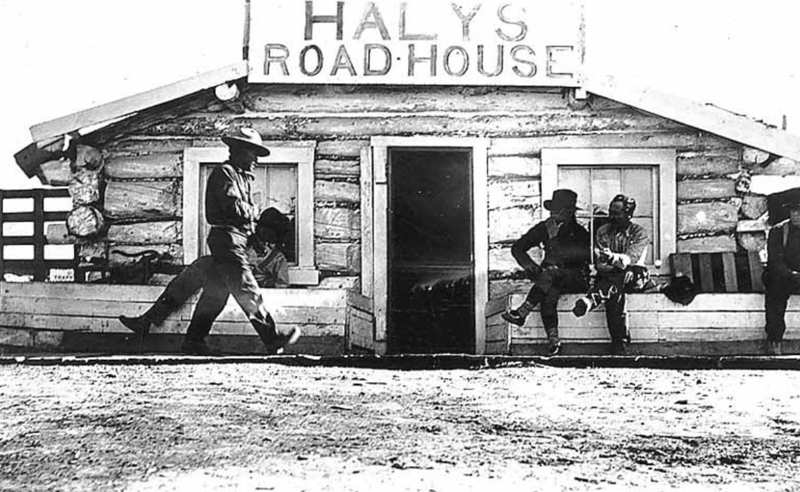 The top image is Mclean;s Roadhouse at Tacotna, 1914. 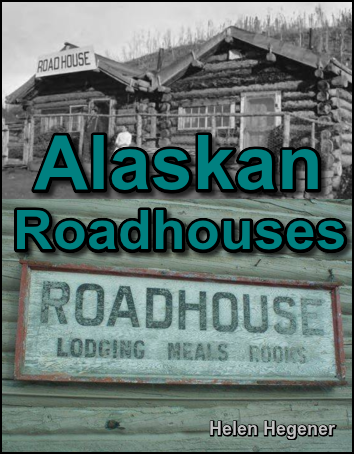 Bottom image is a sign on the old Talkeetna Roadhouse. 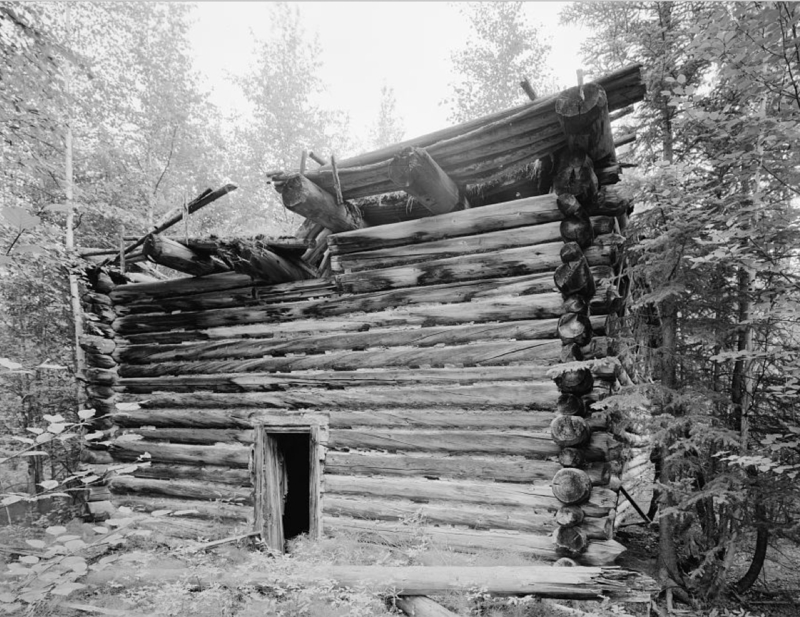 For at least two years I’ve been considering a book about the old roadhouses of Alaska, and I have been collecting photographs, maps, interviews, books, videos, and much more in preparation for taking on the huge task of cataloging and describing these historic structures across the state. 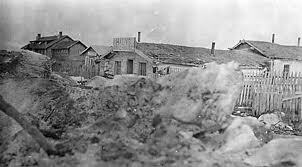 At first the attempt seemed nearly impossible, a daunting task made even more difficult by the complexities of time and the relentless elements which have utterly destroyed the remains of so many early roadhouses. I long ago decided there was no way a complete compilation would ever be possible, as the vagaries of time have swallowed up numerous once notable roadhouses. Trails have been shifted and moved by rivers changing course, or by men doing the same, and the roadhouses have shifted and moved with them. Locations have been reported for many years which eventually proved to be wrong, confusing historians and those who would record the often very sparse details. Names have been changed so many times that ascertaining the proper names for many old roadhouses becomes a complex mystery to be solved, often with minimal success. 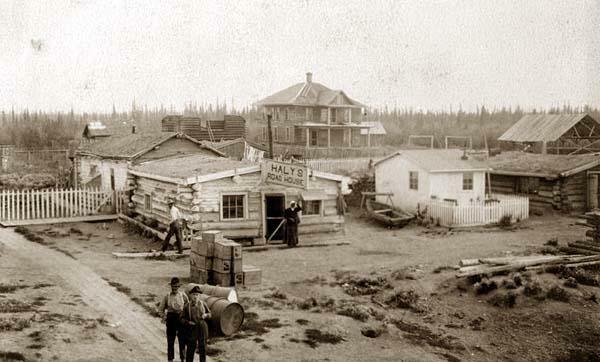 Faith Creek Roadhouse, Jack’s Drop Inn, Steese Highway. And yet there are moments which make the whole process golden and worth pursuing. On a recent winter afternoon some friends and I were privileged to enjoy the very unique museum in Central, arranged to be open for us because friends knew we would be in town for the Yukon Quest Sled Dog Race. 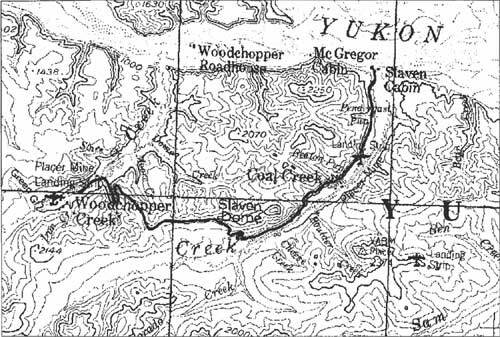 They had also arranged for a local historian to be present and talk to us about the old roadhouses of the Steese Highway, which runs northeastward 160 miles from Fox, north of Fairbanks, to Circle, on the Yukon River. 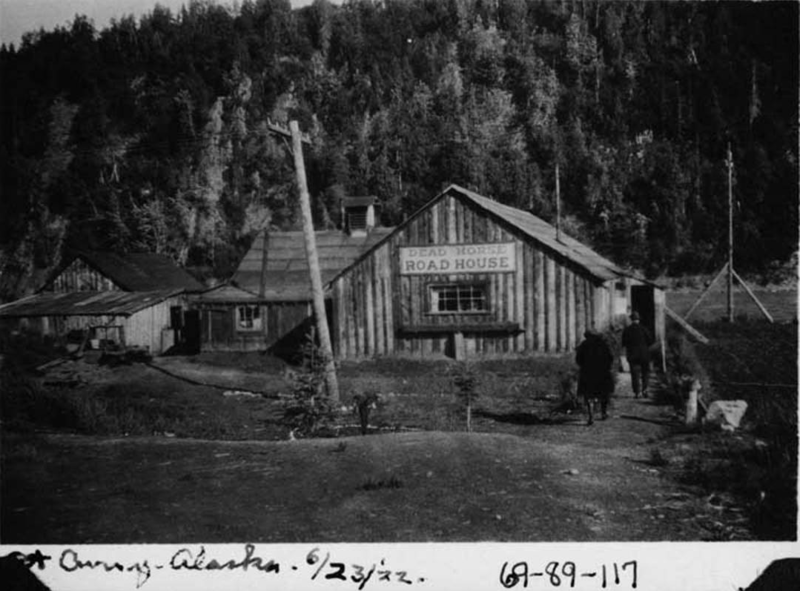 The Steese Highway passes through some of the richest gold-mining areas of Alaska, and at one time there were dozens of roadhouses along its length. 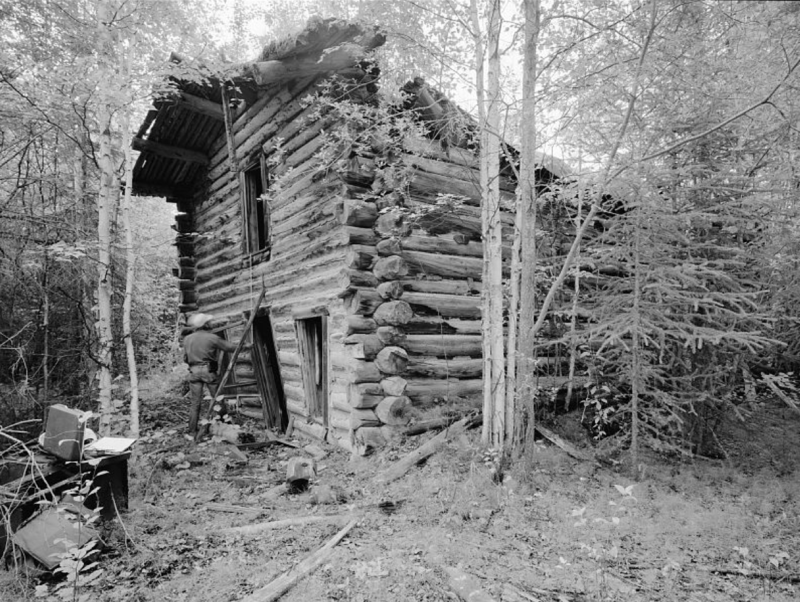 Al Cook, the historian for the Central Mining District, spent the afternoon telling us about the old roadhouses of the area. 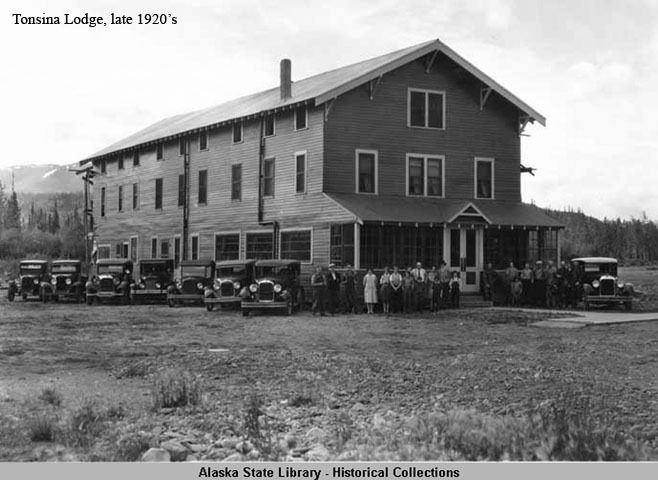 He brought out old maps made in the 1920’s when the Alaska Road Commission had constructed the Steese Highway, and there, in vivid detail and at regular intervals, were the names of the old roadhouses which had once graced the route. 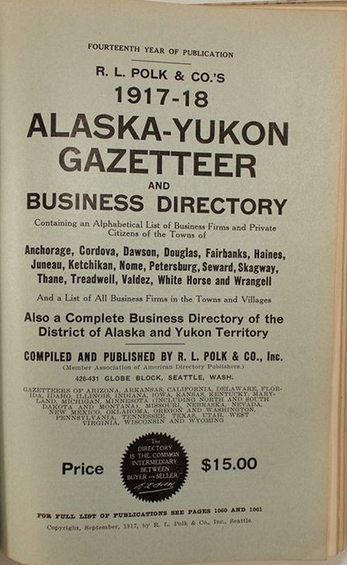 It was there in Central, while looking at the old carefully preserved maps, that I realized this book was not only possible, but if done properly it would be a splendid addition to the history of Alaska. This entry was posted in Roadhouses and tagged Al Cook, Alaska Road Commission, Central, Circle, Fairbanks, Faith Creek Roadhouse, Helen Hegener, Jack's Drop Inn, Northern Light Media, roadhouse, roads, Steese Highway, Talkeetna, Talkeetna Roadhouse on March 22, 2015 by Helen Hegener.